Perhaps most of your experience with the creative arts stems from when you were younger, whether that was learning to play the piano after school, constructing a vibrant collage during art period, or studying British literature in college. Unfortunately, for many of us, that might be our only experience with the artistic world. 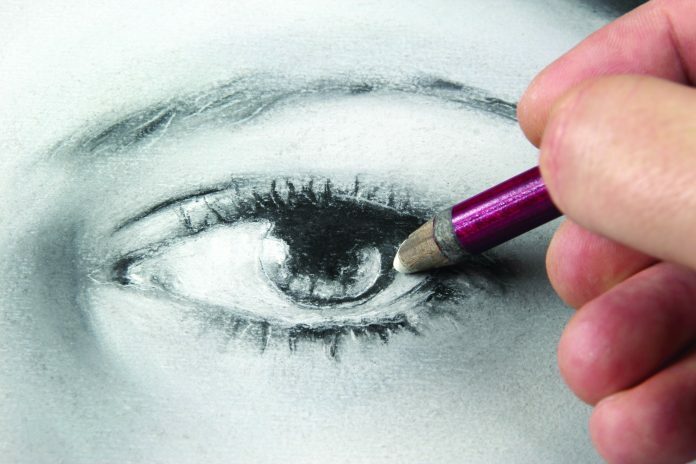 As we grow older, some of us put aside the easel and metronome and stop participating — both as active creators and observers — in the creative arts. Erwin Raphael McManus, artist, author, and pastor at Mosaic, a church in Los Angeles, recently wrote a book titled, The Artisan Soul, in which he explores our universal call to be creative. The book is appropriate, since many today view the creative arts as something to which only a limited few have claim — professional musicians and writers, critics, scholars, and so on. Whether we have busy schedules, or a deep belief that we are not artistically inclined, many factors can hold us back from spending time devoted solely to the creative arts. Yet, McManus explains that all of us harbor an innate desire to both behold and bring about order and beauty in the world, a desire which he attributes to being made in the image and likeness of God. “Creativity should be as common as breathing,” McManus wrote, emphasizing that to be fully alive in the way God desires us to be, we must be creative. Dr. John Calhoun, director of PLNU’s Center for Pastoral Leadership, agrees. God, whose Spirit hovered over chaos to bring about order, form, and life, calls us to participate in the continued sustaining of creation. In fact, Scripture uses metaphorical language related to the arts — “we are the clay, you are the potter” — to emphasize God’s role as the supreme artist of all creation. “This call to take part in God’s work of creation signifies our dignity as children of God,” Calhoun said. When we create, we heed the call within us from God, and when we take the time to actively observe our neighbor’s creative work — such as a painting or song — we are, according to Calhoun, able to uncover the “hidden mysteries” of creation. But what are the “hidden mysteries” that spring forth when we engage the creative arts? If we spend time participating in or pursuing artistic endeavors, despite our demanding schedules, what real impact can they have on us individually, in our communities, and in our relationship with God? It’s only been in recent years that science has started to reveal how beneficial the creative arts are to our physical, emotional, and psychological well-being. For example, hospital art has begun rapidly emerging across the U.S. in recent years. An article in The Wall Street Journal, titled, “More Hospitals Use the Healing Powers of Public Art,” explains how current research suggests patients are positively affected by scenes of nature and figurative art with “unambiguous, positive faces that convey a sense of security and safety.” In response to similar studies, hospitals all over the country have adorned their pallid walls with works of art, including the new Jacobs Medical Center at University of California, San Diego, which offers a robust collection of paintings, photographs, and sculptures on every floor and patient room. By offering patients sight of a bucolic vista or quaint prairie, hospitals are able to provide small but meaningful ways to ameliorate suffering. Dr. Daniel Jenkins, professor of psychology and director of PLNU’s Master of Arts in Clinical Counseling program, views the broadening of traditional therapeutic treatments to include these types of art therapy as encouraging. The NCBI article highlights four primary art therapies that yield positive results: music engagement, visual arts therapy, movement-based creative expression, and expressive writing. Music therapy involves the passive listening of soothing music as well as the active involvement in music improvisation. It has been shown to decrease anxiety, restore emotional balance, diminish pain, and even restore effective functioning in the immune system. Recently, Nuvi Mehta, San Diego Symphony special project director, spoke on the cognitive effects of music at one of San Diego’s Creative Mornings, a monthly lecture series for people interested in joining a creative community. Mehta explained that music, unlike language or information, is processed in “an older and deeper section of the brain,” which is why people suffering cognitive damage, such as Alzheimer’s patients who have lost all memory of language and understanding, can nevertheless still recite the words and recognize the tune of a song played for them. Since music is processed at such a deep level of the brain, it can be used in rehabilitation centers to speed up the healing process, lessen the amount of anesthetics needed, and facilitate greater and more rapid overall recovery for patients. Visual art therapy has also been effective by helping patients express certain ideas or realities that are otherwise hard to put into words. For example, a patient recently diagnosed with cancer could be asked to draw or sculpt his or her felt experiences: fear, pain, a sense of isolation, and so on. Often, the creation of the visual art piece — no matter how simple or crude — offers an outlet for pain. This type of therapy has been shown to be especially effective with sculpting, since molding clay provides tactile involvement at a somatic level that can offer greater catharsis and release. Movement-based creative expression, such as dance, focuses on nonverbal and physical forms of expression to help with psychotherapeutic healing. Instances of this type of therapy have been shown to lower stress and anxiety, and provide other health benefits. By offering patients sight of a bucolic vista or quaint prairie, hospitals are able to provide small but meaningful ways to ameliorate suffering. Rachel Pomeroy (09), a speech language pathologist in San Diego, incorporates aspects related to movement-based creative expression to help bring healing and transformation to her students. She teaches at Innovations Academy charter school, where she works with students from kindergarten through eighth grade who have language and speech disorders, helping them develop the communication and social skills needed to be successful in life. Many of these students have been diagnosed with autism or other similar conditions that make communication and proper social behavior difficult. Pomeroy is also part of the cast at the National Comedy Theatre, where she performs improv comedy shows with other comedians. This form of live theatre is created and developed on the spot during the performance. While earning a Master of Science in Speech-Language Pathology from California State University, San Marcos, Pomeroy realized that many of the skills needed to be successful at improv theatre — flexible thinking, the ability to read subtle mannerisms, the capacity to put one’s self in another’s pair of shoes — could help her students develop skills in communication, empathy, and social connection. The ability to perceive and understand others’ intentions, beliefs, desires, and mental states, and realize that they may be different than one’s own, is known as Theory of Mind. Pomeroy cited an example: a male student is assigned to the role of a mother of six children charged with getting ready for Christmas Eve. In such a scenario, the student is required to imagine what it would be like to be a solicitous mother of six unruly children. The attempt to access a vastly different perspective stretches the student’s mind, developing the part of the brain needed to foster healthy relationships and social interactions. Though her curriculum is in the early stages of implementation, she has observed and documented encouraging findings; improv seems to help those struggling with language and social conditions develop necessary skills and have more socially integrated lives. Expressive writing has been another effective tool used to help patients cope with illness, depression, and other maladies. This creative art form is successful when it incorporates meaning-making techniques, in which patients are invited to construct a narrative regarding a tragic or unpleasant experience to accept and come to terms with it. Expressive writing has been proven to aid immune-system functioning; limit the frequency of physician visits; and positively influence stress hormones, blood pressure, and other cognitive and emotional issues. Dr. Katie Manning, associate professor of writing and acclaimed published poet, views the creation of her art as something that grants healing, deepens her faith, and better connects her to others. Her desire to tinker with words and craft beauty through language extends back to her childhood. One of her earliest memories of finding solace in poetry was when, at 12-years-old, she learned about the “Trail of Tears,” the Cherokee nation’s journey from its native lands east of the Mississippi to Oklahoma, as a result of the Indian Removal Act in 1838. Being of Cherokee descent, Manning expressed her lament and sorrow for these displaced and suffering people through the form of a poem. Participation in the creative arts also allows us to express our humanity, and therefore, our likeness to our neighbor — which can heal broken communities and foster solidarity with others. David Adey, PLNU professor of art and well-known artist and sculptor, understands that, especially today, art is vital to our communities because of our society’s constant access to frothy entertainment and distraction. Adey explains that experiencing a work of art is an active process that requires focused time and attention. Unlike flipping on Netflix or scrolling through a newsfeed, viewing a work of visual art requires deep thought and honed observation to understand what the work is communicating. Dr. G. Jim Daichendt, PLNU dean of the College of Arts and Humanities and renowned writer, curator, and lecturer, devotes much of his life to the study and scholarship of visual art. Like Adey, he emphasized the crucial importance of observing the creative arts in an active and reflective posture. “Rather than being a passive observer, or a passive consumer, as can be the case when we watch television, art requires us to be active and reflective observers by engaging with various types of stimuli,” Daichendt said. By such engagement, he explained, we become more intelligent participants in society. Art requires us to question it to receive something from it, and what we receive — a deeper grasp of a human or societal reality — allows us then to engage our world in a more meaningful, thoughtful, and connected way. Therefore, art, if we take the effort to engage it seriously, is vital to our communities because it allows us to better understand both ourselves and others, and serves as the connective tissue that highlights how we are more alike than different. The physical, psychological, and communal benefits of the creative arts compose aspects of the overall spiritual healing they offer. Calhoun marvels at the transformational effect a single work of art can have on one’s spiritual life and relationship with God. He recalled Henri Nouwen’s book, The Return of the Prodigal Son, in which the author meditated on Rembrandt’s historic painting of the same name, pondering its spiritual significance and what it revealed about himself, God, and his call to the priesthood. Nouwen was profoundly touched by the painting, spending days doing nothing but gazing at each careful stroke, delicate shade, and intentional hue. Nourished profoundly by Rembrandt’s sacrifice of time and talent, Nouwen has, in turn, nourished many others, including Calhoun. Calhoun mentioned that when we strive to create something beautiful for God and for others, we are getting outside of ourselves and curtailing a strong tendency to be inward focused. Heather Ross, PLNU professor of philosophy, makes a distinction between the creation of art for the sake of one’s own glory — the “inflation of the genius self” — and the creation of art as an act of Christian love. If our creative work is merely a form of self-expression, no matter how beautiful or masterful, it doesn’t accomplish what it could — its noble and transformative purpose. When art is properly ordered, it is granted agency to draw its observers closer to God as well as edify them. The work of art then exists as an act of love created for the sake of the other. In addition to the tremendous spiritual benefits, Manning sees art, and specifically her poetry, as a vehicle of grace that casts new light on who God is through its reinvention of human language. The poem employs visceral imagery and diction — words like “aorta,” “ventricle,” and “blood” — to emphasize a literal invitation of God into the human heart. The rawness of the language forces readers to consider what it really means to invite God into our hearts: it’s messy, risky, and incredibly intimate. According to Manning, the notion of using poetry to better understand the nature of God is known as theopoetics, which strives to speak about God through poetic articulations and metaphors of lived experiences as opposed to a systematic understanding of God. In other words, to understand God we need to perpetually reinvent the language we use to talk about Him. As within all creative arts, the acts of both creating and observing can lead to a better understanding of God — His beauty, harmony, and so on — through a vehicle that speaks directly to the heart. An article in Newsweek titled, “The Creativity Crisis,” details that “since , creativity scores have consistently inched downward” for children. The reason for this overall decline in creativity is not fully understood, but some believe it’s our attenuating the importance of creativity in schools coupled with the increase in hours spent watching television, playing video games, and browsing the Internet. Daichendt has seen this decline in creativity manifest through an increased attention to activities or hobbies that, though perhaps beneficial in other ways, only serve to emulate active participation in the creative arts at the expense of real artistic engagement. “Culturally speaking, this decline of both creative thinking and output is expressed in the popularity of certain things for both children and adults, like adult coloring books and art-related games,” he explained. But real participation in the creative arts cannot be done through simulated surrogates, since “creativity is about creating something unique, pursuing something that wasn’t there before through real and meaningful work,” he said. We can reverse this alarming trend by simply placing greater emphasis on the creative arts, no matter our age. Makenzie Plumb (12) teaches drama full time at Hillsdale Middle School in San Diego and is someone well aware of the importance of the creative arts. She recounted a specific instance when she required all her students to audition for a prominent role with an acting piece and a song. The girl who was chosen for the part — Plumb found out later from the girl’s mother — would never have auditioned if it hadn’t been required, because of her fear and lack of confidence. The girl’s mother was delighted because her daughter had been selected for the part, and because of the all encompassing effect it had on her daughter. 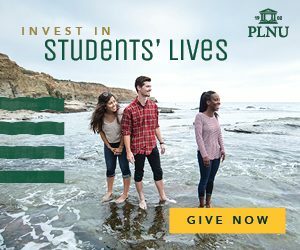 Similar to Plumb, Dr. Barb Taylor, dean of PLNU’s School of Nursing, recognizes the creative arts can have positive effects on her students that bubble over to other areas of their lives. The skills required to complete these projects help her students become better at nursing, a profession in which they need to apply similar skills — divergent thinking, focused concentration, and vulnerability — to best meet the needs of their patients. Manning follows suit. She requires students of all majors in her introductory literature course to craft a poem. If we are not already participating as active observers or creators in some form of the creative arts, by picking up the guitar or setting aside time to read a book of poetry, we might experience much more than the enjoyment of a hobby. In doing so, we open ourselves up to the physical fruits of healing, self-expression, and affirmation, and ultimately, to a deeper connection with others and God. By participating in the creative arts, we are able to better live in community as children of God. According to Calhoun, we are granted the privilege of discovering the hidden beauties of God’s creation, whether that is through a human truth derived from a piece of literature, orchestral composition, or pointillist painting. Chris is a contributing freelance writer for Viewpoint Online.